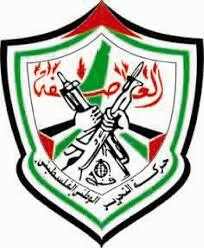 The Palestinian resistance was able on Sunday morning to thwart the kidnapping of one of its members by the Israeli navy in Assudaniya area to the northwest of Gaza city. An Informed source told the Palestinian information center (PIC) that special naval troops aboard motor gunboats encircled, amid intensive gunfire, a group of fishermen in an attempt to kidnap one of the resistance fighters wanted by the Israeli army. He added that other resistance fighters on shore showed up and started to fire mortar shells near the assault gunboats as they were surrounding three fishing boats off the northern coast of Gaza. He said that the mortar attacks forced the Israeli naval forces to withdraw without being able to detain anyone on board of the fishing boats, including the resistance fighter. Meanwhile, a Palestinian security source told the PIC that Israeli gunboats were seen in the morning intercepting, amid intensive gunfire, a fishing boat off the coast of Azzahra'a town in northern Gaza. He added that the fate of the fishermen is still unknown. Three Palestinian fishermen survived gunfire coming from an Israeli watchtower to the west of Beit Lahia in northern Gaza Strip, local media reported. Eyewitnesses said the fishermen were approaching the border with the pre-1948 Palestine areas when the Israeli military fired at them. A Palestinian child suffered a bullet injury when the Israeli occupation forces (IOF) randomly opened fire at a populated area to the east of Rafah district in the Gaza Strip. An eyewitness reported that Israeli troops stationed at Sofa military post, to the east of Rafah, opened fire on Saturday evening at Palestinian homes and wounded a 13-year-old child in one of his thighs. Other eyewitnesses reported on the evening of the same day that the Israeli navy fired projectiles at the shores of Gaza city, while Israeli warplanes overflew the eastern airspace of the city. They said that Israeli warships fired more than 10 shells at a coastal area to the west of Gaza city, without any reported injuries. In an earlier incident on Friday evening, the IOF had killed a Palestinian young man and wounded four others in shooting attacks on residential areas to north and south of Gaza. Since its acceptance of an Egyptian-brokered truce with the resistance in Gaza on November 21, 2012, Israel has killed and wounded dozens of Palestinians, kidnapped many others, and confiscated and damaged several fishing boats. Israeli forces raided four areas across the northern West Bank on Sunday morning, including the cities of Hebron, Nablus, and Yabad as well as the village of Araqa west of Jenin. Israeli forces on Sunday detained two Palestinians from Hebron after raiding their houses and causing extensive property damage, locals said. The Israeli forces raided the house of Muhanad Nayroukh and searched the house before detaining Nayroukh and taking him to an unknown location. 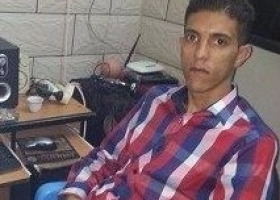 Forces also detained Musab Talahmeh and took him to unknown location. In Nablus, Palestinian security sources told Ma'an that more than ten military vehicles raided the Balata refugee camp east of the city around 3 a.m., entering from all of the camp's entrances. No arrests were reported. 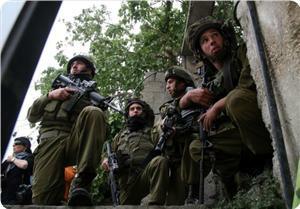 Palestinian security sources also told Ma'an that dozens of Israeli forces had raided the village of Yabad near Jenin. Sources also confirmed that special Israeli forces had raided the village of Araqa south of Jenin Sunday morning with three vehicles. No arrests were reported there either. An Israeli spokeswoman told Ma'an that one person was detained in Hebron overnight for "suspicious involvement in illegal activities," but could not confirm the other detention or raids. Israeli occupation forces (IOF) stormed Balata refugee camp, east of Nablus, and a number of suburbs in Nablus city at dawn Sunday looking for weapons. Eyewitnesses told the PIC reporter that IOF soldiers in ten army jeeps raided the refugee camp and broke into a number of alleys and searched houses. 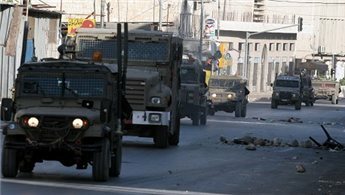 Violent clashes broke out Friday evening in Silwad town, east of Ramallah, after eight Israeli patrols stormed the town. Israeli occupation force broke into the town and fired a barrage of tear gas bombs and rubber bullets, which led to the injury of two young men, in addition to a mother and her two children who suffered breathing difficulty as a result of the heavy tear gas. Eyewitnesses confirmed to PIC reporter that the IOF raid led to the outbreak of violent confrontations between Palestinian youths and the invading forces. The clashes continued until a late night hour on Friday. No arrests were reported. 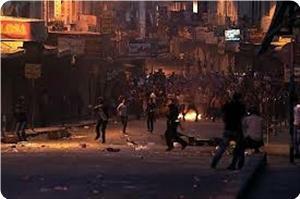 Meanwhile, violent clashes erupted when occupation forces broke into the southern entrance of Jenin. Dozens of suffocation cases were reported due to the heavy use of tear gas bombs. Large numbers of Israeli forces stationed near Al-Quds Open University on Friday night, igniting violent confrontations for long hours, according to local sources. The sources pointed out that the Israeli occupation forces fired tear gas grenades, causing breathing difficulty among many Palestinians. Four Palestinians were injured and one was detained east of Jerusalem on Friday when violent clashes broke out between residents and Israeli forces, an official said. Hani Habiya, spokesman of the local popular committee, told Ma'an that clashes broke out in the village of al-Eizariya between Palestinians and Israeli soldiers. Locals threw stones and Israeli forces fired rubber-coated steel bullets, injuring four Palestinians, Habiya said. tear gas grenades directly toward Palestinians, Habiya said. Dozens suffered from excessive tear gas inhalation. He said the clashes started when Israeli soldiers tried to close a hole in the separation wall that activists had drilled two days before. A spokeswoman for the Israeli army did not return calls seeking comment. Israeli forces opened fire early Saturday at Palestinian farmers in their fields in the southern Gaza Strip, injuring a young man. Palestinian medical sources told Ma'an that 22-year-old Ismail Najjar was injured when Israeli troops surprised farmers east of Khan Younis refugee camp with gunshots. Locals reported heavy deployment of Israeli military vehicles near the border area Friday after an explosive device thrown from the Gaza Strip hit a military patrol east of Khan Younis. 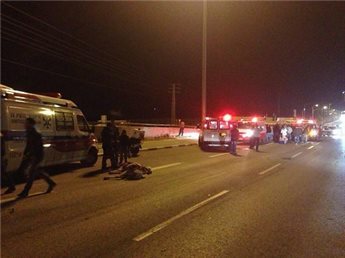 Two young Palestinian men were injured by Israeli fire. 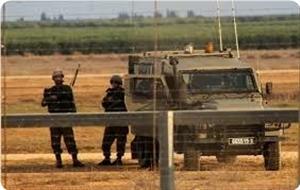 Separately, a young man was shot dead and three others were injured Friday in the northern Gaza Strip. Israeli forces dispersed Palestinian protests across the West Bank on Friday, injuring dozens of demonstrators with rubber bullets and through the excessive use of tear gas. Protests against the Israeli occupation and separation wall took place in the villages of Bilin, al-Masara, and Nabi Saleh. Eight protesters people were injured with rubber bullets and dozens suffered from excessive tear gas inhalation after Israeli forces dispersed a weekly protest in Bilin, near Ramallah. Protesters raised Palestinian flags and chanted songs for unity and resistance against the Israeli occupation. Israeli forces fired rubber-coated steel bullets, stun grenades, and tear gas at protesters as they neared their lands close to Israel's wall. Ashraf al-Khatib, Majd Burnat, Hamouda Yassin, Mohammad Abu Rahma, Mohammad Yassin, Mohammad Hamad, Ali Abu Rahma, and Bassim Yassin were struck with rubber coated steel bullets in different body parts, including one in the head. The demonstration was held in protest of the Israeli forces killing of two Palestinians by Israeli forces in Jenin refugee camps and Qalqiliya during last week. 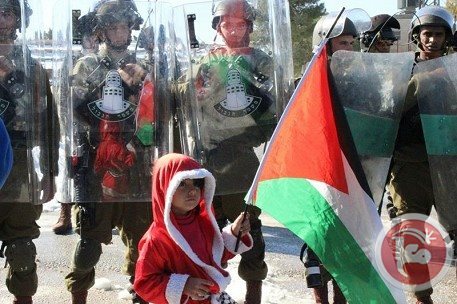 Israeli forces dispersed a demonstration marking the establishment of the Popular Front for the Liberation of Palestine, a leftist Palestinian political group, and Christmas in al-Masara near Bethlehem. Participants raised Palestinian flags, pictures of late President Yasser Arafat and former PFLP leader Abu Ali Mustafa, but were stopped by Israeli forces who used plastic shields to obstruct them when they reached the entrance of the village. Since 2006, the residents of al-Masara have protested on a weekly basis, demanding Israeli authorities return village lands confiscated in order to build the separation wall as it crosses through their town. Israeli forces also dispersed a popular demonstration in Nabi Saleh village near Ramallah. Israeli forces fired tear gas and rubber-coated steel bullets at demonstrators, causing dozens to suffer from excessive tear gas inhalation. Israeli forces claimed that the demonstration was illegal because it was held in a closed military zone. Israeli forces declare the village a closed military zone on a weekly basis in anticipation of the demonstration. Clashes then broke out and Palestinians threw rocks at Israeli forces, who responded with more tear gas. A Palestinian man was shot dead and five others were injured in a number of incidents across the Gaza Strip on Friday. Jihad Hamad, 24, was shot dead, and an unidentified man was injured after Israeli soldiers opened fire near Beit Hanoun crossing in the northern Gaza Strip. Gaza government spokeswoman Isra Almodallal confirmed the shooting, adding that they had approached the fence but details were still unclear. In another incident, two others were shot and injured east of Khan Yunis, spokesman for the Gaza ministry of health Ashraf al-Qidra said. They were taken to the European hospital south of Khan Yunis with moderate injuries, he added. An Israeli forces' statement said that "Palestinians caused damage to the northern security fence" and "fired a mortar shell" into Israel, adding that they "rioted and hurled rocks at soldiers in the northern Gaza Strip, and neared the fence in an attempt to enter Israel." After "calling out to the Palestinians" without success, they used live fire. "Several hits were identified," the statement added. 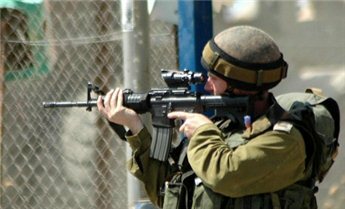 The Israeli occupation forces (IOF) shot and injured two Palestinian men, north and south of the Gaza Strip. Medical sources told the Palestinian information center (PIC) that 23-year-old Mohammad Ayoub was shot near the eastern cemetery to the east of Jabaliya in the northern Gaza Strip and was transferred to Kamal Adwan hospital. The sources added that the young man Omar Kodeih was also wounded by Israeli gunfire on Friday afternoon, in the east of Khuza'a village near Khan Younis, and was transferred to the Gaza European hospital for treatment. The Israeli Occupation Forces (IOF) arrested last night eight Palestinians from different parts of occupied West Bank, at the pretext of being wanted by Israeli authorities. Israeli media sources stated that the eight detainees were interrogated, noting that five of them were kidnapped in Ya'abod village, west of Jenin, while the others were detained in Beit Ummar and Yatta towns, in al-Khalil, and Nablus city. In Nablus, the IOF kidnapped a young man from Balata refugee camp east of Nablus at down today, where they beat him up during his arrest. Israeli soldiers stormed Ayman Muhammad Shafie's house in Balata refugee camp, where they severely attacked him before his arrest. He was then taken to Hawara military camp south of the city, according to Safa News Agency. The occupation forces have violently stormed and searched Ayman's house, leaving the house in a mess, eyewitnesses said. The Israeli forces arrested earlier 30 citizens from different parts of West Bank, and attacked a number of detainees in Hawara detention center and forced them to stand under the snow for more than seven hours. 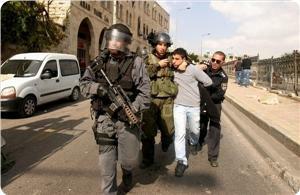 Israeli occupation forces arrested Friday, two Palestinian youth from Kufr Qaddoum village, east of Qalqiliya. The Israeli forces stormed the house of Murad Eshteiwi, coordinator of Popular Committee in the village, and threatened him with arrest if the weekly march that is organized to protest the Israeli closure of the only road that leads to the village doesn't stop. Israeli army forces raided the village at 2 a.m. amd arrested Ghaleb Helmi Eshteiwi, 21, a student at Beir Zeit Universtity and Mohammed Rajab Jomaah, 20, and took them to an unknown location. Clashes erupted during the raid campaign between dozens of Palestinians and Israeli soldiers, who fired tear gas canisters toward the houses, causing several Palestinians to suffer suffocation injuries, including the 55-year-old female resident Abla Ahmed Eshtewi. 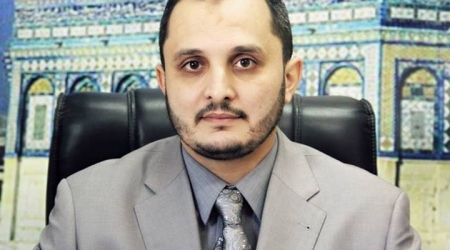 Member of the Central Committee of the Fateh Movement, Fathi Abu Eshtayya, denounced the ongoing Israeli assaults, and stated that the army killed 31 Palestinians, kidnapped at least 500, and demolished 208 homes since direct peace talks between Tel Aviv and Ramallah were resumed in June this year. His statements came during a press conference held Thursday December 19, 2013 in the Beit Jala city, west of the West Bank city of Bethlehem. Several international diplomats, local and international reporters attended. Eshtayya said that peace talks aim at ending the illegal Israeli occupation of Palestine, and establishing a Palestinian state on all territories captured in 1967, with occupied East Jerusalem as its capital. The official said that Israeli soldiers continued their invasions and assaults against the Palestinian communities in different parts of the occupied West Bank, Gaza Strip, and occupied East Jerusalem, leading to this large number of casualties, arrests and destruction of homes and property. He added that Tel Aviv has a different idea for “peace” in the Middle East and is acting on sabotaging all attempts to accomplish this goal. “Israel is still building and expanding its illegal settlements, it is acting on foiling all attempts to accomplish peace”, Eshtayya stated, “It is using peace talks to tell the world it wants peace to avoid international pressure, but at the same time acts against the efforts to reach peace”. “We are not looking for just an agreement, we want a true and just agreement based on international legitimacy and our fundamental rights”, the Palestinian official said, “A comprehensive agreement that brings justice, and establishes an independent, sovereign country”. He also thanked U.S. Secretary of State John Kerry for what he called “relentless efforts to achieve peace”, and the positive stances of the European Union and the Quartet Committee that support the two-state solution, and called on them to step-up their decision to boycott Israel’s settlements in occupied Palestine, not only settlement products. Furthermore, Eshtayya said that Palestinian President Mahmoud Abbas will be heading to Cairo this Saturday “to demonstrate the developments of peace talks” to convening Arab Foreign Ministers at the Arab League. Israeli Naval Forces stationed off Beit Lahi shore, in the northern Gaza Strip, opened fire at Palestinian fishing boats in 4 separate incidents, while sailing between 600 meters and 3 nautical miles. 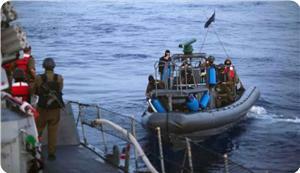 Israeli naval forces also confiscated 24 fishing nets. 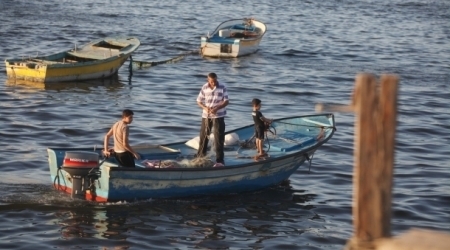 The Palestinian Center for Human Rights (PCHR) expresses concern over the continued targeting of fishermen and their livelihoods. Economic and social rights of fishermen have been violated by the illegal naval blockade imposed by Israeli authorities on the Gaza waters since June 2007. According to investigations conducted by PCHR, at approximately 10:40 on Wednesday, December 18, Israeli gunboats opened fire at a Palestinian fishing boat that was sailing about 600 meters off al-Wahah shore in Beit Lahia, in the northern Gaza Strip. Two gunboats surrounded the fishing boat which was boarded by 3 fishermen: Mahmoud ‘Ali ‘Arouq (16); his brother Mohammed (22); and Jom’aah Amin ‘Arouq (24). Israeli naval forces then ordered the men to stop fishing and give themselves up, but they refused and fled. The naval forces confiscated 14 fishing nets, a total length of 840 meters. Mahmoud ‘Ali ‘Arouq (28) said that they left the waters, to the shore, and watched the gunboats, hoping that they would regain their fishing nets. However, the gunboats confiscated the nets and left the place. In another incident, at approximately 12:30 yesterday, December 18, Israeli gunboats opened fire at a fishing boat belonging to Khalid ‘Awad al-Kafranah, from Beit Hanoun, in the northern Gaza Strip, while sailing at approximately 1.5 nautical miles off al-Wahah shore in Beit Lahia, also in the northern Gaza Strip. Israeli naval forces then confiscated 10 fishing nets. In a third incident, at approximately 06:00 on Tuesday, December 17, Israeli gunboats stationed off al-Wahah shore in Beit Lahia, in the northern Gaza Strip, opened fire in the vicinity of Palestinian fishing boats that were sailing approximately 3 nautical miles offshore. The shooting continued for about 10 minutes, so the fishermen were forced to flee, for fear of being attacked. In a fourth incident, at approximately 14:10 on Monday, December 16, Israeli gunboats stationed off al-Wahah shore in Beit Lahia, in the northern Gaza Strip, opened fire in the vicinity of Palestinian fishing boats that were sailing at approximately 3 nautical miles offshore. The shooting continued for about 15 minutes, so the fishermen were also forced to flee, for fear of being attacked. 3. Calls upon the international community, including the High Contracting Parties to the Fourth Geneva Convention of 1949, Relative to the Protection of Civilian Persons in Time of War, to immediately intervene and stop the Israeli violations against the Palestinian fishermen and to allow them to sail and fish freely in the Gaza Sea. 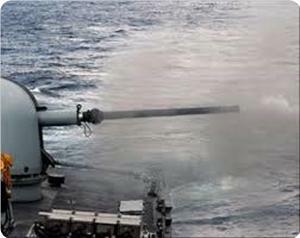 Israeli navy gunboats fired a number of shells at the shores of Gaza city at a late night hour on Wednesday. Field sources said that the Israeli gunboats, which are permanently present off the Gaza shores, fired four projectiles to the northwest of Gaza beach, but did not cause any casualties or damage. The shelling is the latest in a series of Israeli breaches of the calm agreement, concluded between Palestinian factions in Gaza and the Israeli occupation authority under Egyptian sponsorship in November last year, that resulted in killing 11 Palestinians and injuring dozens others. Palestinian medical sources have reported that Israeli soldiers invaded Qalqilia city, in the northern part of the occupied West Bank, shot and killed a Palestinian security officer. The sources said that Saleh Samir Yassin, 28 years of age, was shot in the Nazzal neighborhood in Qalqilia, after dozens of soldiers invaded it. Eyewitnesses said that Yassin was executed in cold blood, and that the soldiers left him bleeding on the ground, and prevented local medics from providing him with urgently needed care, or moving him to hospital. Responding to Israeli claims that Yassin was armed with a pistol, Palestinian security sources said that Yassin is a security officer, therefore it is to be expected that he was armed. Qalqilia Governor, Abdullah Kamil, said that the officer was shot and killed by undercover soldiers of the Israeli army. Kamil denounced the execution of the officer and said that Israel is trying to drag the region into a new cycle of violence, and is trying to enrage the Palestinians against the Palestinian National Authority (PNA). Yassin’s body was moved to the UNRWA Hospital in Qalqilia, while his funeral procession will be held on Thursday afternoon. In related news, soldiers invaded on Thursday at dawn, the northern West Bank city of Nablus, kidnapping two Palestinians, including a security officer. Local sources in Beit village, south of Nablus, have reported that the soldiers kidnapped Rady Sa'id Hamayel, after breaking into his home. Hamayel is an officer of the Presidential Guard; he was kidnapped after dozens of soldiers violently broke into his home and searched it, causing excessive property damage. Furthermore, soldiers invaded Beita village, south of Nablus, and kidnapped Rady Sa'id Hamayel, after breaking into his home. Hamayel is also an officer of the Presidential Guard. On Wednesday evening, Israeli soldiers shot and killed a young Palestinian man in Jenin, in the northern part of the occupied West Bank, and injured seven Palestinians. The slain Palestinian, identified as Nafe’ Jamil Sa’dy, 22, was also shot and killed by undercover forces of the Israeli army.